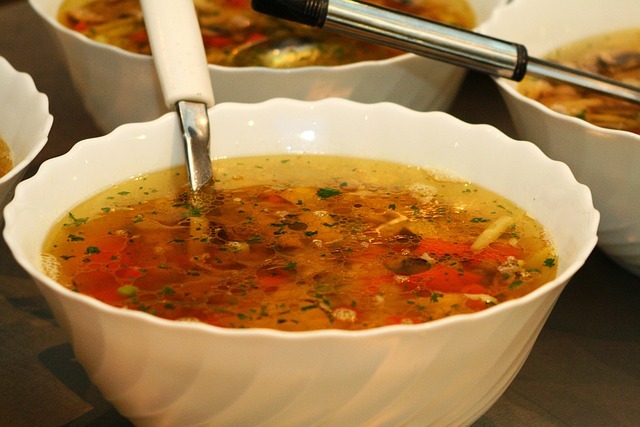 Stock Or Broth, What Is The Difference? 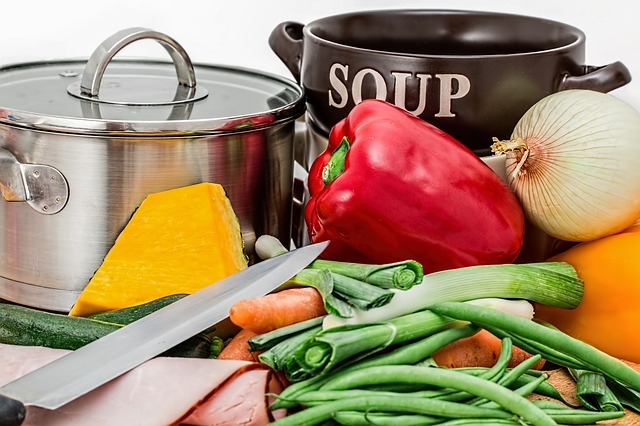 Stock is mostly bones, a little meat and basic vegetables such as carrots, celery, onions and parsley that are placed in water and simmered uncovered for up to 12 hours or more which is what intensifies the flavour and tastes meaty. When the stock is cooled it becomes thicker like gelatin, because by simmering bones for many hours the collagen is extracted from the bones and tissues which when cooled becomes jello like. There are no spices, salt or herbs added because the stock is mostly used as a base for many dishes such as soups, stews, gravy, casseroles, fish, where you will add specific spices and adjust salt as needed. The stock is also always clear. 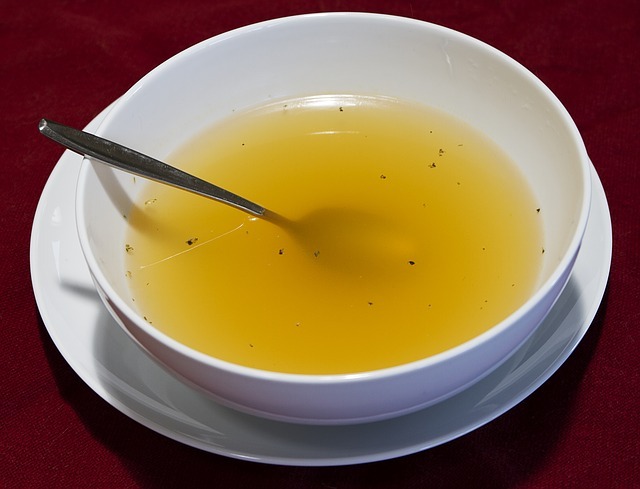 Broth is similar with few exceptions, it is mostly meat and some bones, basic vegetables such as carrots, celery, onions, leeks and parsley but you can also add some basic spices such as pepper, bay leaves, cloves and sea salt, this will add more to the flavour and can be used for soups or vegetable casseroles because it will intensify the flavour, but it can be used for any recipe since it will maximize the taste. Making good stock or broth is a long process with very little work, see my chicken stock recipe, when I make it I use a 12 quart stock pot which will make 4 quarts of stock, I will keep some in the fridge and freeze the balance in small freezer bags ½ quart in each, this way I will always have my stock ready when needed.Home made stock is not only fresher but I find it has better flavour then bought stock and it is also budget friendly, and if you are gluten free you will know that there is no gluten in your stock or broth. Home made stock is not only fresher but I find it has better flavour than bought stock and it is also budget friendly, and if you are gluten free you will know that there is no gluten in your stock or broth. Chicken stock is what I make most, but I will also make vegetable stock which I use in my vegetarian dishes and fish recipes. The beef stock has a rich beef flavour and I use it mostly in stews, beef gravy and meat pasta sauces. So back to the original question, is there a difference between stock and broth? The answer, in my opinion, is yes.